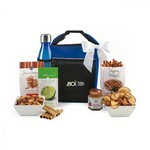 Wow your customers with an elegant presentation without spending a fortune. 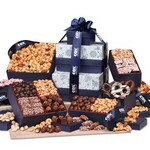 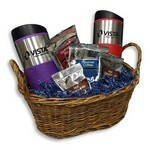 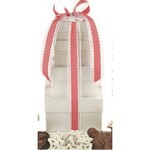 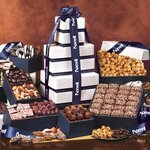 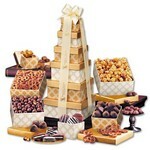 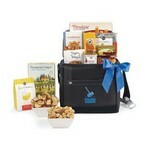 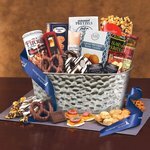 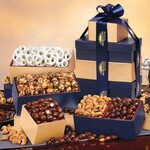 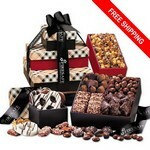 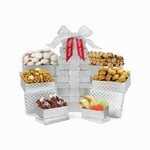 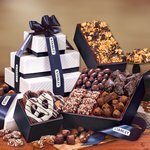 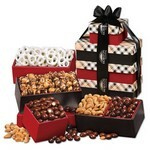 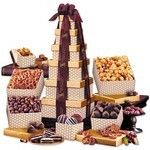 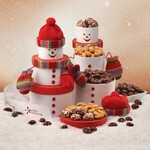 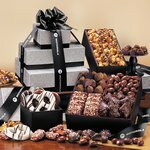 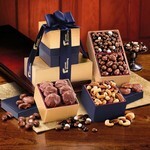 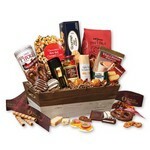 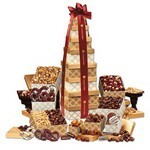 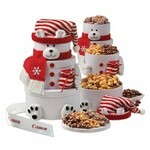 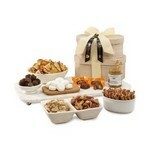 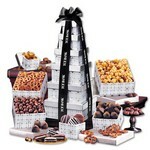 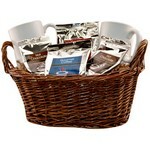 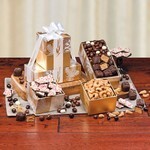 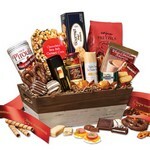 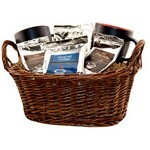 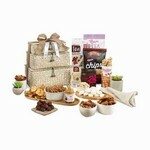 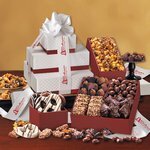 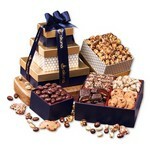 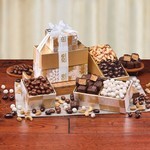 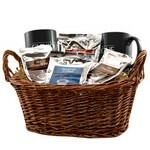 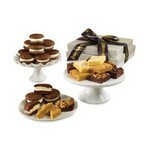 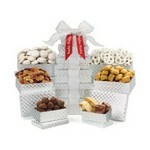 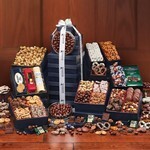 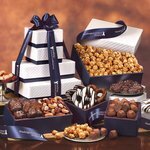 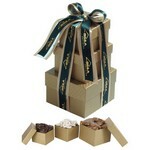 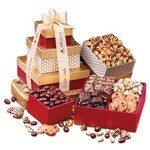 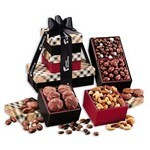 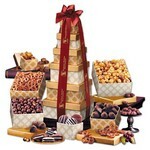 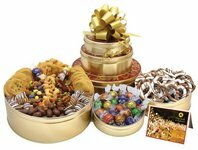 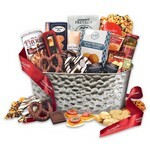 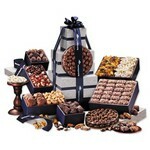 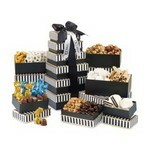 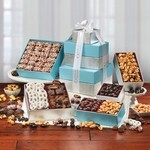 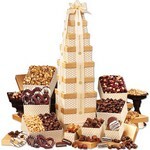 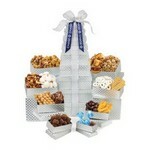 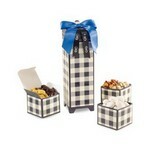 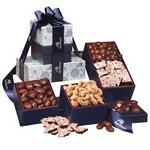 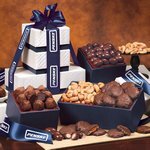 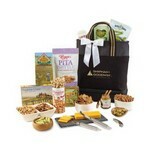 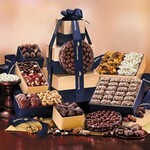 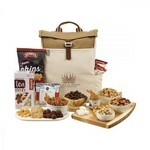 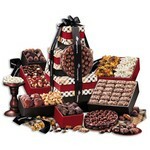 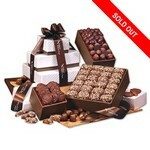 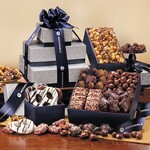 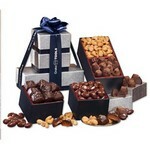 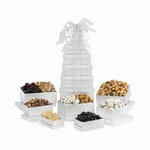 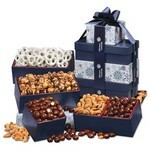 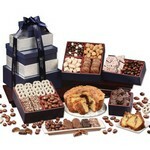 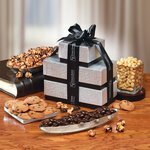 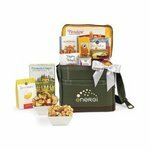 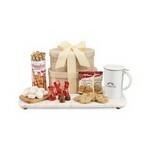 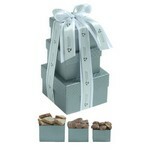 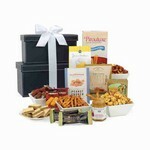 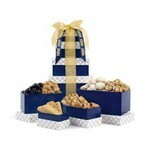 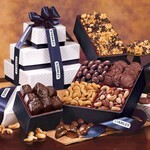 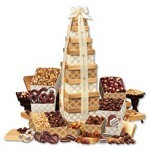 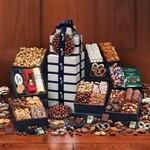 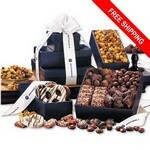 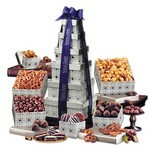 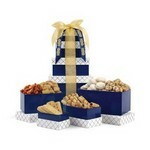 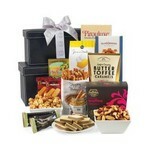 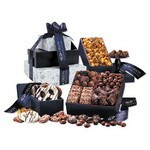 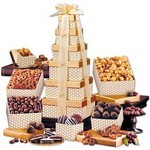 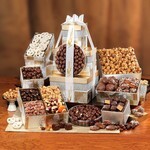 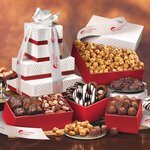 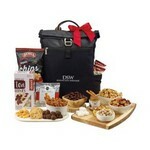 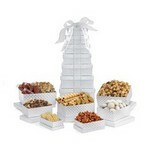 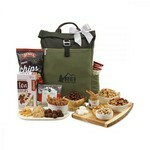 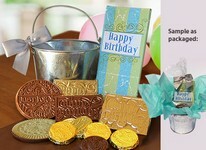 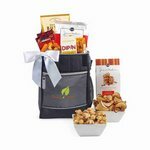 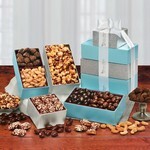 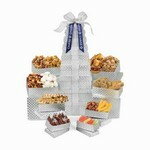 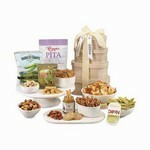 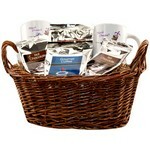 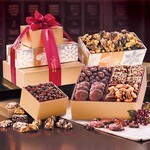 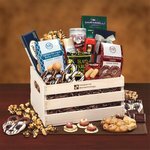 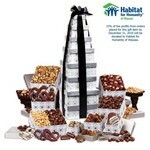 These gourmet food gift baskets and towers come in multipe sizes and designs. 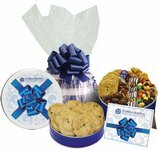 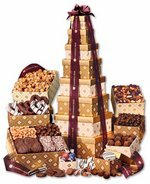 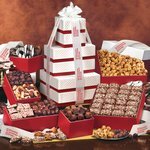 The larger size gourmet food gift towers filled with candy and fresh baked cookies are still a good value to wow your larger customers. 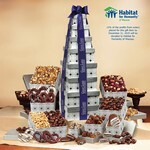 New for this year, Smaller Towers for Smaller Budgets! 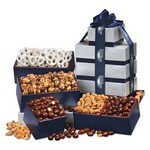 Wow your customers with an elegant presentation without spending a fortune. 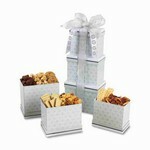 * Shelf life on baked goods is 2 weeks. 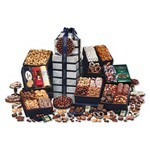 Prices shown are per item. 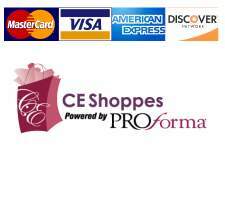 Minimums Apply. 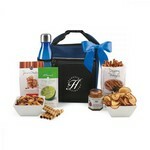 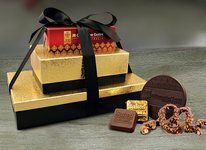 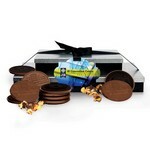 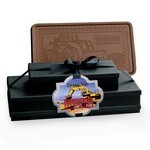 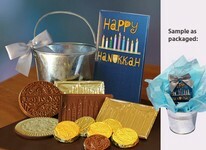 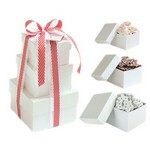 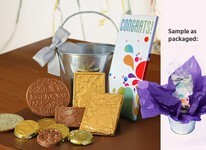 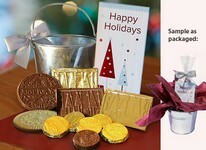 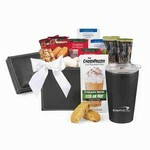 Perfect for corporate holiday gifts, to announce a new product, and client thank you gifts.